It's been a whirlwind couple of years for Lana Rodriguez. 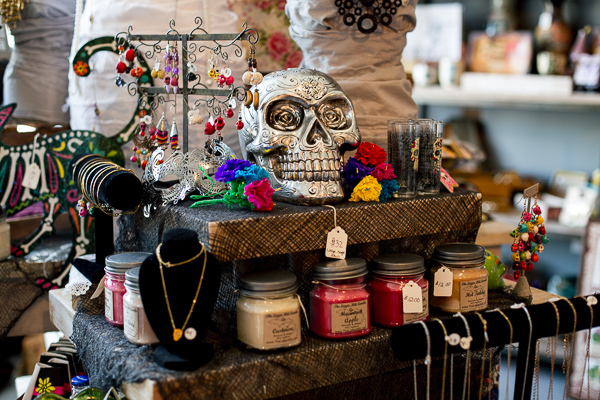 Rodriguez first opened her vintage shop, Mama Coo's Boutique, in her small studio space at 555 Gallery's original location, a former jailhouse in Southwest Detroit. When the gallery moved, Rodriguez made the transition to pop-up life, setting up shop at Detroit bars, coffeehouses, markets, and festivals on a regular basis. But she craved a more concrete existence for her business. "I was seeing a lot of other retailers opening up in Detroit and I was like, 'If they can do it, so can I,'" Rodriguez says. While Rodriguez put in plenty of hard work to pull off the grand opening of her permanent storefront this August, she certainly didn't get there alone. Along the way she enrolled in a class at the Build Institute, participated in TechTown's SWOT City and Retail Boot Camp programs, and won an $18,000 grant from Motor City Match. 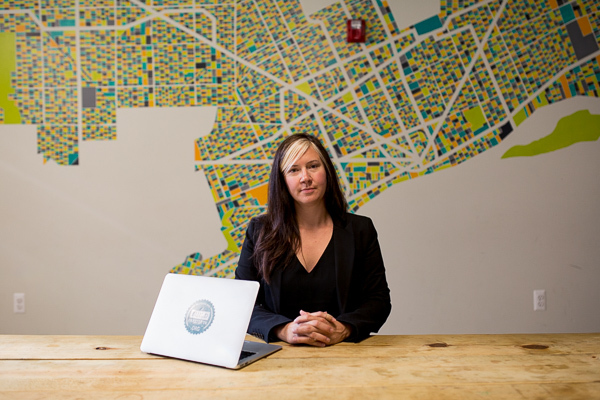 In doing so, Rodriguez engaged with the rich network of small business resources that might be described as Detroit's entrepreneurial ecosystem. "It's really growing," Rodriguez says. "It's almost like a family. It sounds cheesy but it really is true. Within that network, you find everyone." The entrepreneurial ecosystem has seen particular growth in the last five years. Organizations and programs like NEIdeas, Ponyride, Detroit SOUP, Motor City Match, and the Build Institute have come online. Others, like TechTown, have beefed up offerings for entrepreneurs. Many of these organizations have also united as the Detroit Business Support Network, which notably produces the BizGrid, a comprehensive guide to the ecosystem's many offerings. "It's always been a very strong network, but recently we've started to see an uptick in the support and resources available," says Cydney Camp, small business development manager at the Detroit Economic Growth Corporation. "People are coming to express interest and help bring the city back." There's a general track to the ecosystem, with many organizations catering to entrepreneurs at various stages of their journey toward starting a full-fledged business. Rodriguez compares it to a public school system—the organizations roughly parallel elementary school, high school, and the post-graduation period when one is applying for opportunities to grow their business. For Rodriguez, "elementary school" in the ecosystem was the Build Institute's programming for fledgling entrepreneurs. She enrolled in the institute's "Etsy Craft Entrepreneurship" class last year. Rodriguez didn't plan to focus her business on Etsy or even online, and mostly took the class because it was the institute's cheapest offering. However, she learned a lot about web design and enjoyed the sympathetic perspective of her teacher, who was herself a jewelry maker. Rodriguez also found the Build Bazaar, a recurring pop-up marketplace offering cheap exposure to early-stage entrepreneurs, to be a valuable resource. "It allows people to get out there," Rodriguez says. "If they're still in the vision phase of their business, they can test the waters before having to pay $300 for a vending fee." Build Institute founder and executive director April Boyle says she originally conceived the institute as a "feeder" to other ecosystem organizations, allowing prospective entrepreneurs to get basic training, experience, and networking with a low barrier to entry. "If you're not a highly resourced entrepreneur, somebody like Dan Gilbert or John Varvatos or the guy from Shinola, it's still very difficult to navigate the city and to understand how to get a small business open," Boyle says. "They don't make it easy for the little guy." 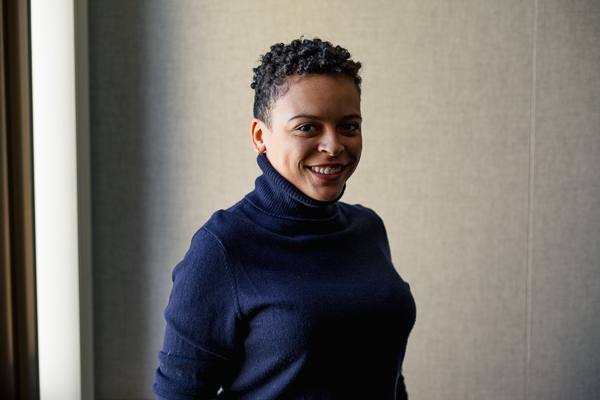 The "feeder" concept worked well for Rodriguez, who moved up to the next stage of her ecosystem education through a referral from Build to TechTown's SWOT City Southwest Detroit program. That program helps entrepreneurs develop a SWOT (strengths, weaknesses, opportunities, and threats) analysis for their businesses and then draw up a growth plan and goals. From there, Rodriguez also quickly jumped into Retail Boot Camp, an eight-week TechTown program that covers a broad range of topics including building regulations, branding, and identifying startup costs. 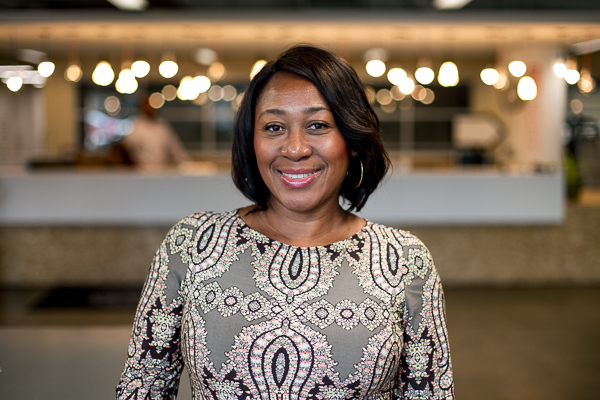 "Our entrepreneurs may understand their product and service, but they don't know how to do the nuts and bolts," says Regina Ann Campbell, TechTown's managing director of place-based entrepreneurship. "You need to give them help to walk through." As in the case of her Build Institute class, Rodriguez found resources that ran much deeper than she expected. Through Retail Boot Camp she had access to experts in a variety of fields, including architecture, accounting, and social media strategy. "They just have a lot of resources—stuff that you know you need, but you kind of put them on the back burner, especially if you don't have the money for it," Rodriguez says. "Everyone would love to have an accountant and a strategic social media plan, but realistically when you're one person you're taking a picture and loading it and that's all. That's your plan. Or you're just Googling 'how to do my taxes.'" Even after completing SWOT City and Retail Boot Camp, Rodriguez has been pleased to find that her connections at TechTown continue to provide speedy assistance when she's navigating new terrain in her business. "They constantly want to know, 'What are the issues that you guys are facing?'" Rodriguez says. "And then they help you get answers." Once a new entrepreneur gets a handle on his or her business idea and develops a basic working knowledge of business ownership, the greatest challenge yet arises: securing capital. Fortunately, Detroit's business ecosystem offers plenty of options at this stage as well. Rodriguez got an initial funding boost from Retail Boot Camp, which provides a $7,500 grant to five of the most promising graduates in each camp session. But she got an even bigger boost in April with her $18,000 grant from Motor City Match. A collaboration between the city of Detroit, the DEGC, the Economic Development Corp. of the City of Detroit, and the U.S. Department of Housing and Urban Development, Motor City Match provides grant funds to cover renovation, buildout, and startup costs for new Detroit businesses. Rodriguez says the grant allowed her to not only renovate her business' historic building at Trumbull and Bagley, but add aesthetic touches as well. "I was able to fulfill the vision that I had for my store," she says. "You can always come back and fix it the way you want once you have a little money, but this allowed me to actually have my store the way I wanted it." Motor City Match is just one of the DEGC's many programs dealing with higher-level concerns in Detroit business development. Camp says the organization works with everything "from large companies all the way down to small businesses in different neighborhoods," assisting with aspects ranging from site selection to tax incentives and business loans. "I see us as being sort of a convener, as one of the hubs around the city to attract entrepreneurs and kind of point them in the right direction and give them a little bit of the help that they need ... to get their business off the ground," Camp says. With so much assistance available, Camp says the main challenge for resource providers is that many prospective and existing Detroit business owners aren't aware of all the ecosystem's offerings. "Getting the word out, making sure that all of these resources are available to the broadest amount of people possible, is always a challenge," she says. "We have to be diligent and really committed to that kind of outreach, just making sure that people know what we have to offer." Campbell and Boyle agree, both noting that they've made efforts to bring their programs into Detroit's various neighborhoods. Again, Rodriguez is a good success story for those efforts: she originally discovered the Build Institute because it had set up shop right in her neighborhood at the Ford Resource and Engagement Center. Campbell says TechTown is eager to show Detroiters that entrepreneurial resources are available to more than just those who live or run businesses in Midtown. "We've found over these past three years you see a lot more neighborhood businesses coming in to TechTown because they realize this is for them as well," she says. For her part, Rodriguez says she now sings the praises of Detroit's entrepreneurial ecosystem to "everyone that will listen," asserting that there are "so many resources available that it's silly." "Shame on me if my business closes, because I'm totally set to succeed and to have longevity," she says. "If it closes, it's my fault and then I don't deserve it. It's ridiculous how much stuff has been offered to me that I can take advantage of." April Boyle is married to Brian Boyle, co-owner of Issue Media Group and publisher of Model D.? Support for this feature is provided in part by Motor City Match, a program that connects new and expanding businesses with Detroit’s quality real estate opportunities, providing them with funding and tools to fuel the city’s entrepreneurial revolution. Learn more at mortorcitymatch.com.